I've been really discouraged the last few days. Not about Gracie- she's doing amazing and she's thrilled that her hair is getting long enough to style. I'm still working to get the Santa Susana Field Lab clean, and it's been overwhelming since last August. It's been literally non-stop for almost six months. Since the beginning I didn't want to get involved advocating for the site's cleanup. I was terrified and every aspect of it is outside my comfort zone. In every way I am unqualified. I'm not a scientist or have any scientific education. I'm an introvert, I'd rather write and read books than help lead a community movement. By nature I hate questioning authority, as rules and authority make me feel safe. I find myself always seeking the approval of "smart people" to validate my insecurities that stem from always feeling second-class to my A+ peers in a high-achieving community. I HATE confrontation. I HATE people being angry, annoyed, bored, or in anyway displeased with me. I HATE stepping out into the unknown. Especially in the beginning, when I didn't know the facts and I didn't even know if Boeing and the DTSC were lying or if the cleanup advocates were lying...the stress of trying to do the right thing when I didn't know up from down had me in tears. I tried to escape getting involved so many times. So, so, so many times. And I'm going to be honest here. As much as I am dreading any tisk-tisks from some readers, what I'm about to write is from the beliefs I have as a Christian. I certainly don't expect anyone to have to share my views- ask anyone in Parents Vs SSFL leadership. We come from all different values and belief systems, and I love that our group is so diverse and we respect and value these differences. So what I'm writing is to let you get to know who I am, from my point of view. That's all. Hope you feel safe enough to keep reading, and if not I totally respect that too. There were so many times that I wanted to run away, and each time I felt God pull me back. Not against my will, but he strongly suggested that this was his path for me. It came to the point where I had to admit that if I were to run away from it again that I would be blatantly disobeying God, just like Jonah. I reached a decision moment that come hell or high water, failure or victory, answers or questions...I decided that no matter what, I would not leave this cause until God released me. And everytime we hit a brick wall, when there was NO way to go forward, God brought an answer that allowed me to keep going. But that hasn't spared me from being very human and very vulnerable to my weaknesses. And the last week I've been very discouraged. Last week it was hard to get out of bed, hard to make myself eat, wanting to cry at the drop of a hat, wanting to sleep all the time. I think most of it was because the last month has included the fires near my home, my parents and in-laws having to evacuate, my mom hospitalized from a fall and needing surgery, family birthdays, my colds and sinus infections, both kids getting pink eye, thanksgivings, and my kid's school volunteering. I'd overdone it, was too involved in too many things, began isolating and was too busy to recuperate. That's always a dangerous place to be for anyone. I was listening to this podcast last night and the Beveres first spoke about God's call on women and then about what the opposite of discouragement is. According to them....it's courage. Courage to keep going even when things aren't working out like you hoped. Courage to keep going even when people are negative and caustic. Even if the path is unknown and failure is almost certain. In a lot of ways I feel like Frodo the Hobbit, but with less hairy feet. In the podcast they were saying that when we feel under attack, and if it's discouraging us from the job has given us to do (either small or large) then we should pray God's word over ourselves, preferably out loud. So I'm going to be listing them out here so I can find them easily when I need to pray again...and again...and again. If you're discouraged feel free to pray them outloud too, and add your favorite verses on encouragement in the comments. Do not be anxious about anything, but in every situation, by prayer and petition, with thanksgiving, present your requests to God. And the peace of God, which transcends all understanding, will guard your hearts and your minds in Jesus the Messiah. Then Samuel said, “Speak, for your servant is listening." The Lord was with Samuel as he grew up, and he let none of Samuel’s words fall to the ground. Now I am mocked every day; everyone laughs at me. When I speak, the words burst out. “Violence and destruction!” I shout. So these messages from the LORD have made me a household joke. But if I say I’ll never mention the LORD or speak in his name, his word burns in my heart like a fire. It’s like a fire in my bones! I am worn out trying to hold it in! I can’t do it! But the LORD stands beside me like a great warrior. Before him my persecutors will stumble. They cannot defeat me. They will fail and be thoroughly humiliated. Their dishonor will never be forgotten. O LORD of Heaven’s Armies, you test those who are righteous, and you examine the deepest thoughts and secrets. Let me see your vengeance against them, for I have committed my cause to you. Sing to the LORD! Praise the LORD! For though I was poor and needy, he rescued me from my oppressors. But the Lord said to him, “Peace! Do not be afraid. You are not going to die.” So Gideon built an altar to the Lord there and called it The Lord Is Peace. But now, this is what the LORD says-- he who created you, O Jacob, he who formed you, O Israel: Fear not, for I have redeemed you; I have summoned you by name; you are mine. When you pass through the waters, I will be with you; and when you pass through the rivers, they will not sweep over you. When you walk through the fire, you will not be burned; the flames will not set you ablaze. For I am the LORD, your God, the Holy One of Israel, your Savior; I give Egypt for your ransom, Cush and Seba in your stead. Since you are precious and honored in my sight, and because I love you, I will give men in exchange for you, and people in exchange for your life. “I have had enough, Lord,” he said. “Take my life; I am no better than my ancestors.” Then he lay down under the bush and fell asleep. All at once an angel touched him and said, “Get up and eat.” He looked around, and there by his head was some bread baked over hot coals, and a jar of water. He ate and drank and then lay down again. It’s the anniversary of Gracie’s cancer relapse but it hasn’t seemed to have any effect on her. She’s only looking forward. It’s hard for me though. One year ago today almost destroyed me and I’m struggling to breathe through the pain of the memories. We were going to run away. Our offer on a home in Indiana had just been accepted and we were preparing to pack. We were going to outrun cancer, flee the Santa Susana Field Lab, and start over, pain-free and safe. But Grace woke up with arm pain as severe as if she had broken her arm. We rushed her to the hospital. I knew before the doctor said anything. My mommy instincts were confirmed by the sorrow in her nurse’s eyes. 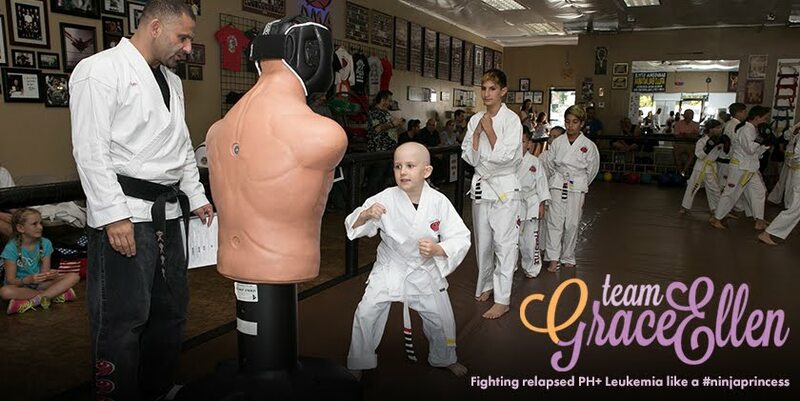 Gracie had relapsed with PH+ Leukemia. It was her second time fighting an incredibly rare and aggressive cancer. We called our realtor and canceled our new home from the hospital hallway. We knew her best chance at survival would be at our local children's hospital and we knew our finances would go towards medical bills instead of moving. Her doctors intentionally didn’t tell us her survival rate. I think it’s because it would have stolen all our hope and hope was already scarce as it was. This time was so much harder than the first time she had cancer. We lived at the hospital for over 4 months while she received and recovered from a bone marrow transplant to save her life. She had intense chemotherapy and full-body radiation meant to destroy the cancer and her bone marrow. Her mouth was covered with ulcers. It became too painful for her to eat, drink or talk. She refused even ice cream. She had fevers and nightmares. She had 11 blood transfusions. She couldn’t walk, bathe, or dress herself. The nausea was constant and she vomited often. She was addicted to morphine but there were days when she still felt the pain. She was isolated to her hospital room and couldn’t be visited by her brother, extended family, or friends. She was old enough to ask, Will I die? Did I do something bad to make this happen? Those questions nearly tore me apart. I became really afraid when she didn’t cry or complain when receiving shots. I was afraid she’d lost the will to live. She didn’t give up, and by the grace of God, she survived. But as long as the Santa Susana Field Lab remains contaminated with radioactive and chemical waste, more children here will continue to get cancer. Some will survive. Some, like our friends Bailey and Hazel, will not. And the truth of that leaves me broken. The thought of more children needlessly suffering is unbearable. My heart is raw and bleeding. The pain in our community is unbearable. 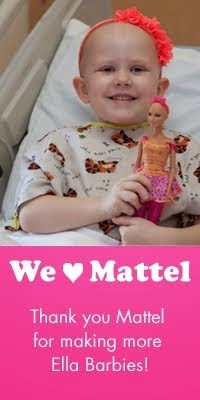 Everytime I see another child with cancer, I only see Gracie. And I grieve. I grieve that my daughter lost her childhood and that she has suffered more than most adults- physically, mentally and spiritually. It's not fair that she has suffered so much. I grieve her friends who died. I grieve that there can be no promise of safety for my daughter, because cancer is a savage monster who does not consider the prayers of parents and can return without reason. I grieve that NASA, Boeing, and the Dept. of Energy, chose money over my daughter and our community’s kids. I feel I’ll lose my mind from the grief. Some days I cry until I can’t breathe, I feel like I can't breathe as I write this. I just want to scream, Why didn’t they protect her from cancer? She's just a kid! Why won’t they save our kids? They’re kids! For heaven’s sake, they’re just kids! I've been trying to trust God again. I am leaning heavily on my husband, and our friends and family, but today the memories of pain and fear terrorize me. I’ve been attending a recovery group, seeing my therapist, and began treatment for depression, but I still feel like my heart weighs ten thousand pounds. My heart aches. I physically feel it right now. It feels like my heart will bleed through my chest. Still, I will choose to hope. I choose to find the joy in my children’s smiles today, in their love, in my love for them. I will choose to live one day at a time, enjoying one moment at a time, accepting hardship as a pathway to peace...even if it means staying here, in West Hills, and fighting for the Santa Susana Field Lab cleanup, even if it daily resurfaces my pain and fear. Because if there’s anything I can do to prevent another child suffering like Gracie did, then today on her anniversary I memorialize it… I will have courage. I will do what I can. While reading a new devotional book this morning I panicked. The "read between the lines" message was that if God really matters to you, you'll do what it takes to squeeze God time into your schedule and take practical steps to experience his presence. I quickly realized that my life has been a series of well-intentioned-spiritual-goal-failures, and that I am unlikely to benefit from more sheer willpower solutions. I'm not good at reading the Bible. I can't sit still for five minutes, let alone pray for five minutes. I used to get up at 5am to have devotion time before work, most mornings I fell asleep in my Bible. I tried evenings and didn't feel anything "spiritual," so I figured I was doing it wrong and eventually gave up. (I used to go to a church where emphasis was put on “feeling” God’s presence and it's hard for me to turn that doctrine off). Much of my relationship with God has involved me working to deserve His love. This also compounds the guilt I feel around God, and why prayer time feels like work to me, not like rest. "Sorry God," is how I end most of my attempts at devotion. I don't have a lot of time to make either, even if I wanted to. I haven't had extra time for years. I had Gracie in 2010 and Luke in 2011 while Chad often commuted three hours a day and worked nine more. At the time I didn't have a lot of outside help, plus I had postpartum depression and severe fatigue, both times. Then Gracie was diagnosed with cancer and treated for two years. Next year I had walking pneumonia for eight weeks, continual sinus infections, and sinus surgery. Luke had severe asthma and nonstop nightmares. Then Grace’s cancer came back last fall. Needless to say, I haven’t had amazing “devotional time” in these last eight years...if ever. And so when I read that if I really love God, I'd find a way to make it work...it triggered all my fears I am weak, I am a failure, that God is disappointed in me, that He's a slave driver who just wants more and more. That I am unlovable and unable to show love unless I work harder. It triggered my fear that pastors and clergy know God better than me and that everything I've learned about God must be untrue if a pastor or "spiritual authority" says so. Or hints so. I still don't understand why I so desperately need a pastor's validation of my faith. It's as if I take their words about me to be God's own approval, and I am devastated when their spiritual formulas don't work for me. I always feel that I am the hot-mess-black-sheep who can't get her act together when everyone else can. I didn't realize that all this was triggered this morning. All I knew was that I felt the effects as if I had been shot. I bled out anger and fear and self condemnation all over the place today. It wasn't until I was doing the dishes tonight that God revealed to me that this morning's reading triggered my spiritual trauma that isn't fully healed. It was such a huge relief to at least know why I had gone off the deep end. I felt overwhelming peace and acceptance again. And it reminded me of a story I've been wanting to share. Several years ago I attended a spiritual retreat at my church. Unfortunately the guest speaker not only triggered all my fears, I think he was aiming to kill. He spoke against Christians needing medicine. He thought real Christians prayed, and real Christians had their prayers answered by miracles, because of their prodigious faith in God. Obviously Grace's life had been saved by God giving us access to medicine, but the man said it with such authority that I felt like everything I knew about God was now revealed to be a lie. He was a spiritual authority. He knew everything. I knew nothing. I actually had to get up and leave the church in a panic. I went for a walk in the neighborhood, trying to staunch my spiritual wounds without success. I was terrified that somehow I hadn't any faith after all, that I had fooled myself into believing that God could love me. Looking back, I think it was a spiritual attack, because on paper it doesn't make sense. 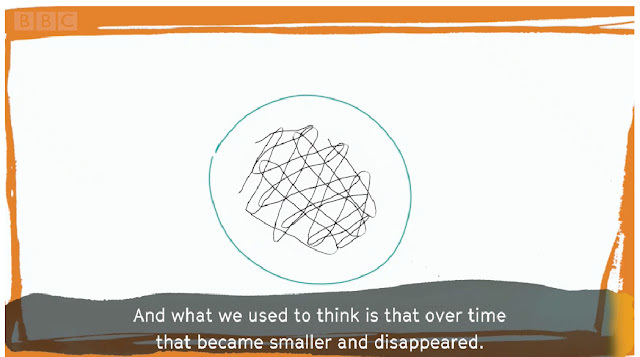 It wasn't a logical conclusion, it was a spiritual overwhelming of darkness and fear. My spirit was being held underwater and I was about to drown. And then I heard, or rather had a vision, from Jesus. He reminded me of the scene from Luke 7 and/or Mark 14, when he and his disciples were having dinner with their friend Simon. A woman, possibly Mary Magdalene, pushes her way through the male dominated dinner party to get to Jesus. She breaks open the jar of exceptionally expensive perfume, and anoints him with it. The men are appalled. A woman and a sinner has touched God. She's a hot mess, crying on his feet and wiping them clean with her hair. Judas says it was a waste, she could have sold the perfume and given the money to the poor. The men reject her act of worship, reject her faith, reject her. And this is where I saw the vision. I saw the woman rise to her feet, trembling at their judgement. She's violated cultural and spiritual boundaries to get to Jesus. Those men are the spiritual authorities. They are right. She is wrong. They know everything about God. She is nothing. I saw Jesus also stand up, reach his arm out and bring the woman to stand behind him, so that he could take on their criticism and protect her from it. He became her shield. "Leave her alone," he says in the Bible. And in the vision I heard him add, "She belongs to me." He showed her mercy, though she was a sinner. He validated her simple faith. He chose her, and her faith, over their self righteousness. He saved her from their condemnation and took it on himself. And he did take it on himself. Judas then decided then to betray Jesus because of this scene. He refused to serve a God who couldn't tell the difference between the outcasts and the elite. Jesus knew that saving her meant losing his own life. But he did. She belonged to him. That's what love does, and he loved her more than he loved his own life. He refused to let any of the spiritually elite take her away from him. He reminded me of this vision today, and therefore, I am incredibly grateful for my terrible devotion time. I don't have any theological training, no fancy titles or gold stars. I have a lot to learn. I don't do my faith "right." I am a hot mess. A black sheep. But I belong to Jesus. We've been home for over a week and I think I'm much less shell-shocked this time, but Grace is still thawing out. She's been feeling significantly better this week, though that still includes lots of aches, pains, tummy issues, fatigue and weakness. She's afraid to be touched. I'm going to talk to the doctor about it tomorrow- to see if it's a medicine side effect or nerve damage that's causing the pain. She's also been having lots and lots of nightmares, including one last night of getting a shot in her neck and another in her fingertip. She also keeps having dreams that I came into her room to give her medicine or wake her up for an appointment, so she'll wake up and try to get ready, but I'm not there. The confusion really upsets her, and the sleep deprivation only adds to it. But overall she's talking again, laughing again, and playing with toys for the first time in three months. And playing on her swing set every day. It makes me so content to see her and her brother outside, playing, and laughing together every evening. It's the most normal part of my day. It makes me feel secure, even if for only that half an hour. It's been one of the healing oils God has been carefully rubbing into my raw soul. He's been slowly healing my soul and my relationship with him. I've always been like this: if I can't have some resolution with my relationship with God, then I act like a scorned lover who can't move on. He's the center gear in which all my other gears revolve around, and in the times when my relationship with him is not functioning, everything else grinds to a stop. If he doesn't make sense to me, then nothing in life makes sense to me. I think that's why it's been so critically important to me to figure Him out (as much as a mortal might dare to try to figure God out) during Grace's-cancer-crisis. For me it's been a spiritual-crisis. An identity-crisis. An every-aspect-of-life-crisis. A big issue I've been struggling with is trying to imagine myself reintegrating into "normal" life with "normal" people. If you've read any of my past blogs you've probably sensed the anger and bitterness I've been struggling with. I'm so afraid of rejection for being broken. I'm so judgemental of those who've never suffered, especially Christians. I fear happiness as much as I fear pain. It's been ugly. And frightening. And lonely. Last week I was able to go to Celebrate Recovery for the first time in ages. We sang the worship song Holy Ground and I bristled at, "let every burning heart be holy ground." I felt more like my heart had only burnt to the ground, and I think that's not really what the song implied. I can't fake passion, pretending my heart is burning on fire for God- what does that really mean anyhow? Passion isn't a "Fruit of the Spirit," or a beatitude listed in the Sermon on the Mount and yet Christians are so focused on passion right now. It reminds me that our society idolizes star-crossed lovers over marriages that have endured decades. My faith is totally dependant on him right now. My heart is broken and burned out. The amazing thing was, God didn't refute that feeling. I felt his presence affirm it. And that sort of surprised me. I used to imagine that God and I would take walks, hand in hand, in the garden of my heart. He showed me that it wasn't my garden, it's always been His garden that I had imagined, and that I had a corner patch in it. And I saw in this vision that my garden plot really had burned to the ground. But he reminded me that forest fires are often seen as terrible calamities with nothing but devastation and pain...but in actuality forest fires are a huge benefit for the forest in the broader sense. They clear the ground for new growth. Many plants are dependant on the heat and chemical changes for germination. Fires kill the mold and bacteria that had festered in the dark underbrush, and the new growth will have plenty of oxygen and sunlight to prevent future blight. Forests will languish without an occasional fire. In a forest fire there is loss of life, but also there is also new life. So it was true, my garden plot had burned to the ground while others burned with poetic passion. And some of those burning, passionate Christians in God's garden are represented by beautiful, ornamental garden plots. They have topiaries and long stemmed roses, bubbly fountains and marble statues. But I have a feeling there are more Christians who feel they should be this type of garden than God might actually need, and/or they think that it's the only type of garden God approves of. But I don't think God's large garden is just to create beauty. In some plots God is also growing vegetables. Some plots are fruit orchards. He is tending herbs for medicine in others. Some gardens are for shade, some drought tolerant, some are full sun. Some hold the manure until it breaks down into rich fertilizer to enrich the rest of the garden. Some are full of tall trees planted at the perimeter to take the brunt of the weather, to protect the more delicate plants further inside the garden. Each has a purpose and I think God values each of them for the unique job He created them to do. That resonated with me so much that I sang the rest of the song with my own improvised lyrics. I am burned to the ground. But now I look forward to see what type of garden God will grow in me once the ash has settled. I know it's not necessarily one that will be valued by those looking for prize winning roses, but as long as my heart is a garden that God is satisfied with, I will try to grow to be true to His vision for my purpose.